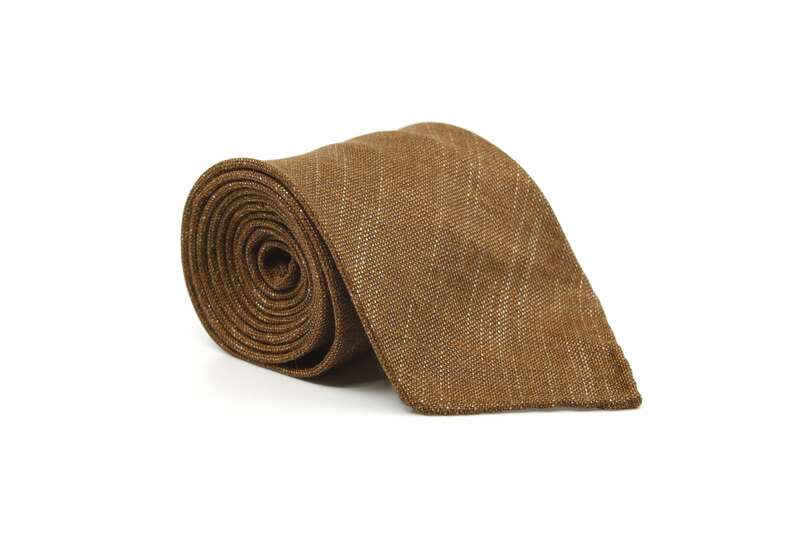 This tobacco brown tie is made from a Huddersfield Fine Worsteds 100% bamboo fabric. 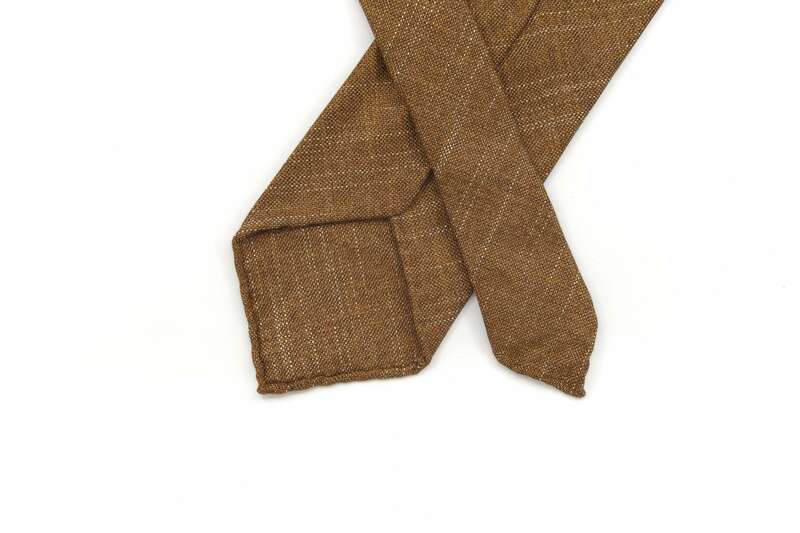 Bamboo is an excellent material for ties. It combines cashmere-esque softness with the mottled appearance of a wool-silk-linen blend while wearing cool like a linen or cotton cloth. On top of all that it has a tiny bit of an elegant sheen to it. 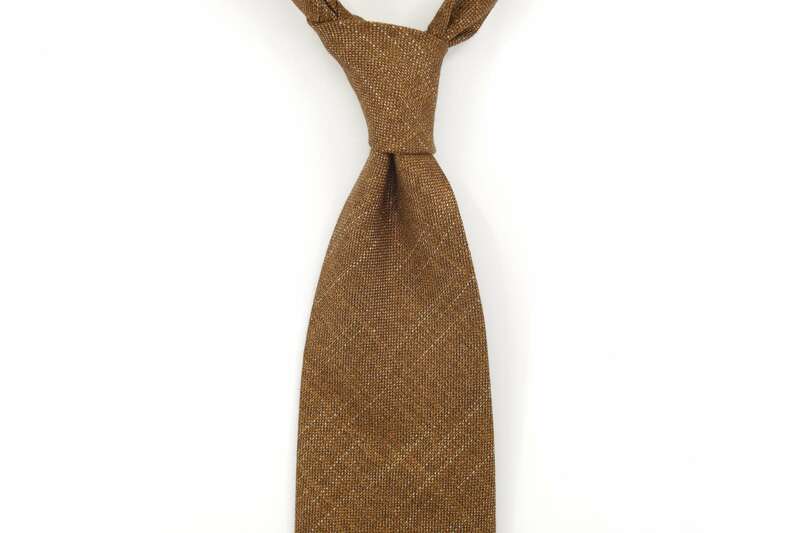 This might quickly become your favorite solid brown tie! Pair it with a white-navy candy stripe shirt, grey birdseye suit and copper suede adelaides for a classic look or go bold(er) with a light blue chambray shirt, forest green wool-silk-linen sport coat, light grey fresco trousers and snuff suede penny loafers. For pocket squares, we recommend choosing a white linen or sky blue based silk square. Huddersfield Fine Worsteds is an internationally-renowned fabric manufacturer from west Yorkshire with an experience of over 700 years. Their ranges include the famous Hardy Minnis Flannel and Fresco cloths.